Come at 6 p.m. if you'd like to join a potluck -- bring something to share and we'll have a meal together. 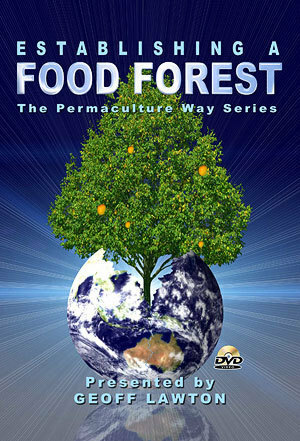 Join Geoff Lawton on a Permaculture adventure as he demonstrates how to grow a food forest from start to finish. We start with a 20 minute Permaculture Classroom as Geoff explains the patterns of a Food Forest and the essential principles of "time stacking" your garden with the right mix of support species that feed and protect your fledgling fruit trees into maturity. We then join Geoff in the field as he puts the theory into action, planting the seeds and watching the system grow. We end up at Tagari Farm - established by Permaculture founding father, Bill Mollision - which was abandoned years ago, but planted according to Permaculture design principles. Would this Food Foest survive on its own? You'll be surprised.